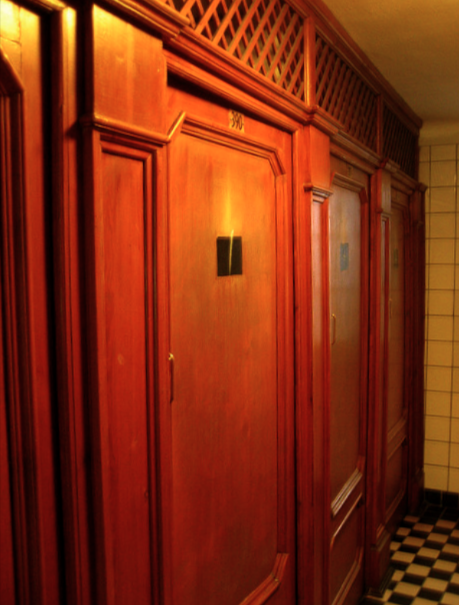 The term ‘Szechenyi Bath cabin’ is used for changing rooms and storage rooms at Szechenyi Baths, in other words the cabins at Szechenyi Baths are private changing cabins, where you can, in your own privacy get changed and store your belongings. Another option is to use the common changing areas and lockers for your items to be locked up. The tickets to the bath can be purchased with ‘cabin use’, or with lockers. The cabin is an extra service on behalf of Szechenyi Baths (plus they take up a lot of room), so the tickets with cabins are approx. 1.5 Euro more expensive than the standard bath tickets. 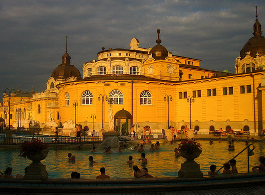 It is up to you if you want to have a more upgraded service at Szechenyi Bath or you are fine with the cheaper bath tickets, which do not include the use of a cabin. 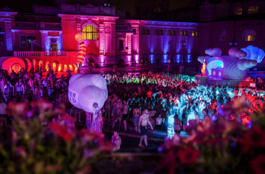 You can also buy your ticket to the Szechenyi Baths online via our ticket agency partner and save some time (not having to stand in the queue, which in summer time can mean 25-35 min waiting before you get to the cashier). Please note that the online ticket costs 1 Euro more than the tickets you can buy in person at the bath. 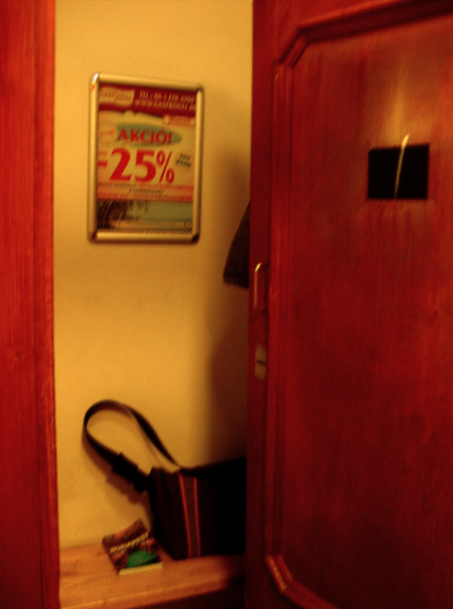 You can see the photo of a bath cabin at Szechenyi Baths – closed doors, and what is behind the door. As you can see the cabin is not a spacious room, as it has been designed for getting changed for the pools, not for staying in. Is a towel and bath robe included in the price for a private cabin? no, unfortunately towel and bathrobe rental is not included in the price. Thank you for your understanding. 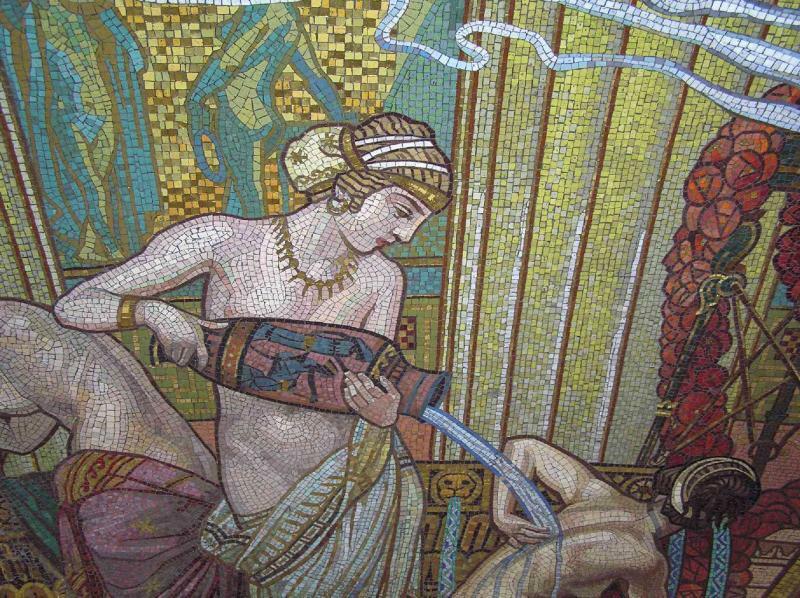 Hi I’m planning my visit to Budapest in Feb, looking forward to visiting the Szechenyi spa baths. Could you tell me what packages are the best to buy. Do you get some that include treatments or do they book separate. Any help would be appreciated. There will be new massage packages in 2018. The exact products and prices will be available from the beginning of January. Thank you for your understanding and patience. Hello, are the baths open tomorrow, 30.12.2017? On this page tickets can be purchased but on Christmas’s hours it says that it’s closed? yes, the baths will be open as usual. 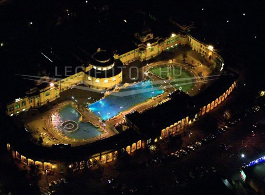 Hope we can welcome you at Szecenyi Spa Baths! Hi. I’m planning my visit to the bath and have couple of questions. Are the bathrobe and swimming cap mandatory? I’m coming with my boyfriend, how shall we buy the ticket as we need only one cabin? One ticket with cabin and one with locker? How busy is it in January, is it better to book online or the queues are short and it’s not an issue to buy at the spot? Thanks in advance for your reply. 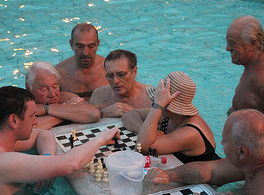 Bathrobes are not mandatory, swimming caps are needed in the outside swimming pool. Tickets can be bought on the spot and January as not considered to be a busy month, but with the online purchased tickets you will be entitled to fast track bath entries, therefore you can skip the queues. Have a great time in Szechenyi Baths! I have booked for 10 people to come visit on Friday 13th April. Can we rent towels when we are there? If so how much will that be? yes, you will be able to rent towels for HUF 1,000 (plus a deposit of HUF 2,000) per person. We are coming to Budapest on Thursday and returning home late Monday if we book on Monday is it less busy than Saturday please ? And is it cheaper to book on line? 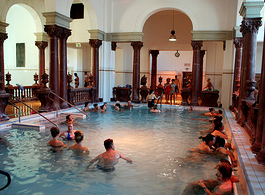 yes, probably the Baths is a bit less busy on Monday than on weekends. Online tickets are fast track entries, which are somewhat more expensive than the simple ticket bought at the cashier.